A.Adelaida is using Smore newsletters to spread the word online. The recycling consist on the transformation of objects like cardboard, paper, brass, glass, some plastics and organic waste in raw materials that could be used again late. Recycling is a necessary activity for the people because if we didn't recycle, the people could die from breathing toxic gases. 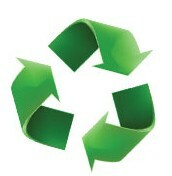 Below we will show some examples of materials that can be recycled. Paper and cardboard: obtained from trees, therefore, if we recycle paper, the felling of many trees will be avoided. Batteries: many batteries contain very toxic and dangerous metals for the enviroment, because of this, the finished batteries that are not rechargeable must be put into the special containers that exist for the dispose of these materials. Well, we have just seen, doing some interviewswith children from third and fourth grade in the Stma. Trinidad school, in Alcorcón and also talking to the headmaster, Mr. Pedro María Ustarroz, that we are dearling with a school where recycling takes an important role due to inducement caused by teachers and parents. The school takes several years doing the recycling of waste leftover food, by which the center cooks recycle the garbage in the different types of waste. ( organics, plastics, packaging and glass. They also spend three or four years trying to use renewable materials and take advantage of to the maximum. On this subject the school has told us that every year will give talks to informing kids about the importance of recycling in our lives. 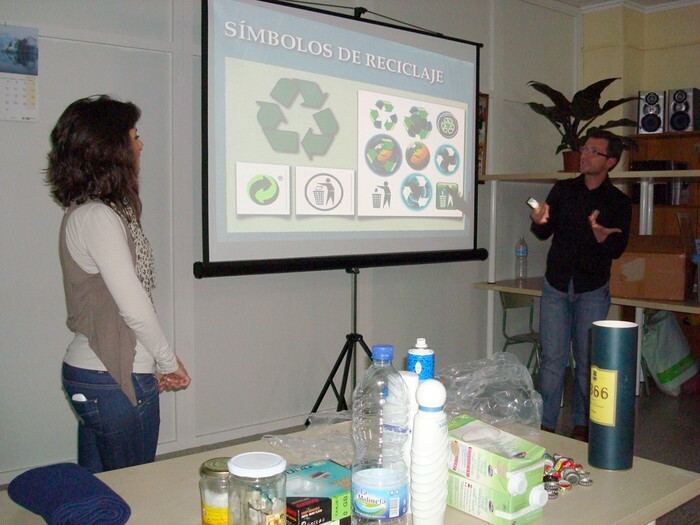 Here we finish the theme of recycling in our school. We hope you liked it.